Fig. 1 Still from Maria Elena, by Melanie Smith. 2018. Film (Photograph Calvin Echavarria; exh. Bluecoat, Liverpool). Fig. 2 Performance photograph of Signature Facial , ASMR (Autonomous Sensory Meridian Response) Spa, by Taus Makhacheva. 2018. (Blackburne House, Liverpool; photograph Thierry Bal). Fig. 3 Still from Keicheyuhea, by Aslan Gaisumov. 2017. Film (Courtesy the artist; exh. St George’s Hall, Liverpool). Fig. 4 Warrior 3, by Brian Jungen. 2018. Nike Air Jordans, leather, copper, 84 by 76 by 81 cm. (Courtesy Catriona Jeffries, Vancouver; exh. Tate Liverpool). Fig. 5 Man Abusing His Partner, by Annie Pootoogook. 2002. Coloured-pencil and felt-tip pen on paper (Collection of John and Joyce Price; exh. Tate Liverpool). Fig. 6 Still from Ulysse, by Agnès Varda. 1982. Film (Courtesy the artist; exh. Foundation for Art and Creative Technology, Liverpool). Fig. 7 Resilience Garden, by Mohamed Bourouissa. April 2018. Granby Gardening Club, Liverpool (Photograph Pete Carr). Fig. 8 The List, by Banu Cennetoğlu, installed as part of Liverpool Biennial 2018; pictured before vandalism (Photograph Thierry Bal). Melanie Smith’s new film, Maria Elena FIG. 1, on show at Bluecoat as part of a highly international gathering of work forming the Liverpool Biennial, depicts the workings of a gargantuan salt mine in the Atacama Desert. 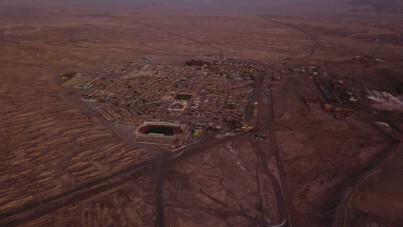 The film combines expansive aerial shots of the rippling topography of the desert with scenes that show the painstaking plunder of the area’s resources – long freight trains labour across dusty landscapes, huge metal conveyor belts clank and whirr, enormous aquamarine brine pools stagnate under the scorching sun. The film leaves the viewer wondering at the potential for a natural landscape to be so systematically ruined, but also at the unexpected beauty of this destruction – Smith gives the dusty mine machinery a certain majestic quality, while the deep chemical shades of the brine pools are spectacular. 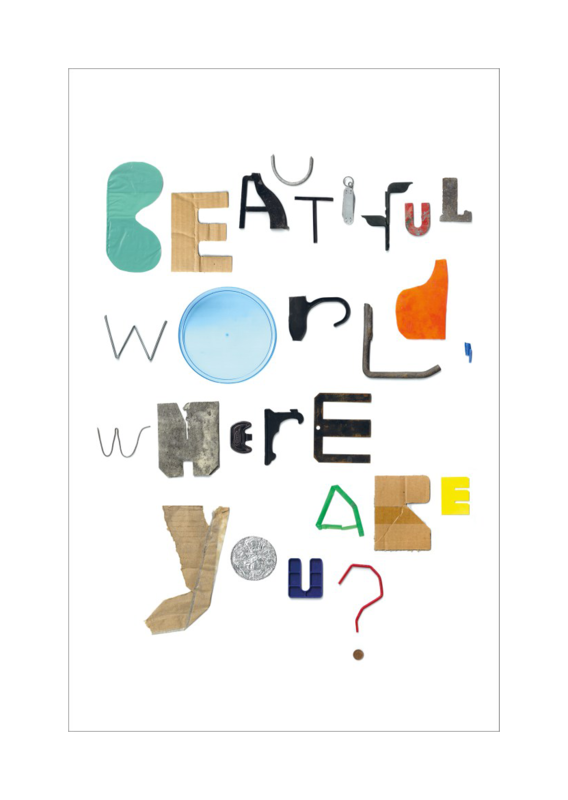 This year’s Biennial is framed by the simple overall question, ‘Beautiful world, where are you?’, a line from a poem written by Friedrich Schiller in 1788 that was then set to music by Franz Schubert in 1819. Between these dates Europe had endured the bloody upheaval of the French Revolution and the fall of the Napoleonic Empire. By asking this question the curators, Kitty Scott and Sally Tallant, imply that the world has turned ugly once again. And, as we live under the dark shadows of Brexit, Trump, ongoing austerity, Europe's migration crisis and the many other disturbing events that have taken place since the 2008 financial crash, it is hard to disagree with them. However, despite its simplicity, this is also an enormously demanding question. Scott and Tallant's title can be seen as a call for solutions, effectively asking artists to come up with fixes for the parlous state of the post-crash world. This is no small task, and sets the scene for a very disjointed, if ambitious, selection of work. A number of artists seem to have sidestepped the enormity of the Biennial's call by interpreting it as an ambiguous question. 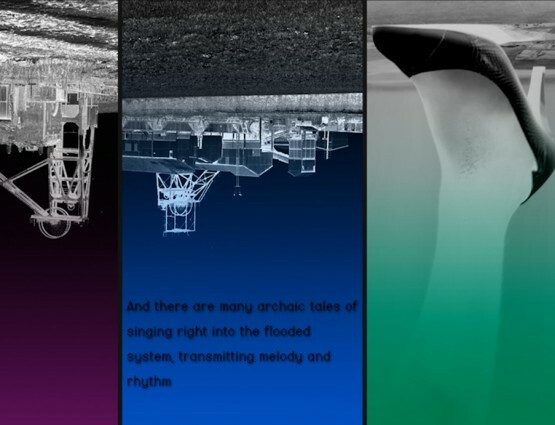 Maria Elena understands 'Beautiful World, Where Are You' in two ways: both as a lament for lost beauty – the digging up of the pristine wilderness of the Atacama – and as a hopeful cry to an emergent one – the abstract splendour of the machinery and the brine pools. The film also, emphatically, takes a long-term view, away from the nasty, seemingly unresolvable state of the immediate political landscape to which Scott and Tallant allude. It boldly declares that, like it or not, we are now irreversibly engaged with something bigger and more important than Trump or Brexit – the geological age known as the Anthropocene, where human activity has become the dominating influence on our environment. At Blackburne House, Taus Makhacheva presents one of the few performance pieces in the Biennial FIG. 2. In her installation ASMR (Autonomous Sensory Meridian Response) Spa, visitors can receive a thirty-minute facial treatment from an actor-come-beautician. While being intimately restored and rejuvenated, those being treated are regaled with stories of artworks that have suffered the opposite fate, and been lost or destroyed. Makhacheva is prising apart the Biennial’s question into two strands, presenting it as equivocal in order to avoid directly answering it. She intimates that we are living in a world of lost beauty, but also one where restoration is possible with the correct time and attention. Like Smith, however, Makhacheva presents us with a general world view rather than offering fixes to specific problems. At St George’s Hall, Aslan Gaisumov presents Keicheyuhea FIG. 3, which also looks at loss, but on a scale so inhumane as to be barely conceivable. 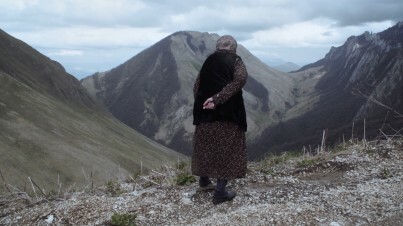 In this film, the artist’s grandmother returns for the first time to the mountainous Caucasus region from where she was forcibly deported by Russian soldiers in 1944, along with the entire Chechen and Ingush population, to Siberia and Kazakhstan. Of almost 400,000 deportees, it is estimated that at least a quarter died while travelling. That this elderly woman is able to talk calmly, clearly and eloquently about this act of wanton brutality, and to remember in minute detail the life of her old village, gives the film an extraordinary bittersweet tone. The film points to where, for Gaisumov’s grandmother, beauty (in the form of her old life) once was and has since been lost, but also to where it might be found again – in the tender combination of remembrance, understanding and perhaps even forgiveness. The film makes the simple yet profound point that, wherever it exists, a beautiful world is delicate and transitory, which is ultimately perhaps the only possible answer to the Biennial’s slightly confusing call. The display at Tate is largely devoted to work by artists from the northern regions of Canada. This has perhaps been motivated by the curatorial interest of Scott, curator at the Art Gallery of Ontario in Toronto. There is a sombre feeling in much of the work shown. It suggests not so much that we look beyond our own borders for solutions to our own problems, but rather that these other cultures have their own particular troubles to contend with. 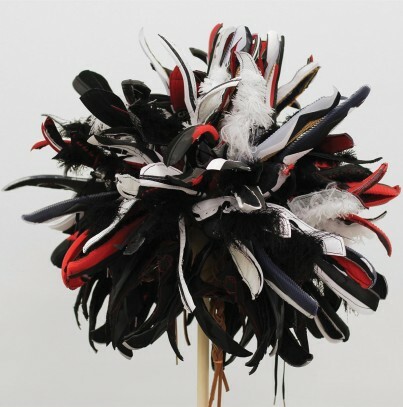 Brian Jungen’s sculptures, for example, which consist of colourful feather-like strips of Nike Air trainers arranged to resemble Cheyenne-style war bonnets FIG. 4, raise questions regarding the dilution of traditional cultures through the never-ending onslaught of consumerism and cultural imperialism. There is also a large selection of Annie Pootoogook’s drawings on show. 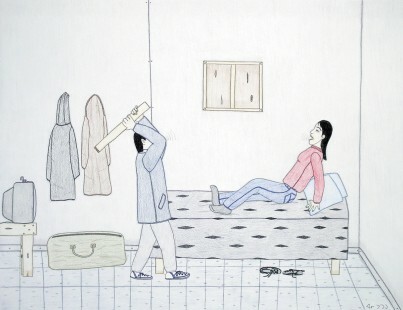 The artist's coloured pencil and felt-tip pen depictions of everyday scenes within her native Inuit population come with simple, matter-of-fact titles that range from the banal – Bringing home food, Women Gathering Whale Meat – to the horribly disturbing – Man Abusing his Partner FIG. 5. This generous display allows for a candid view of Pootoogook’s native life and one that again alludes to a community that is facing serious challenges. The simple, familiar materials from which Jungen's and Pootoogook's works are constructed imbue them with a feeling of vulnerability, suggesting that both cultures are in danger of being swept away, as Gaisumov's grandmother's was. Seeing Pootoogook's work in the context of her well-documented alcoholism and tragic death only adds to the poignancy of this concern. Foundation for Art and Creative Technology (FACT) displays a small selection of Agnès Varda’s work, including the glorious Ulysse (1982) FIG. 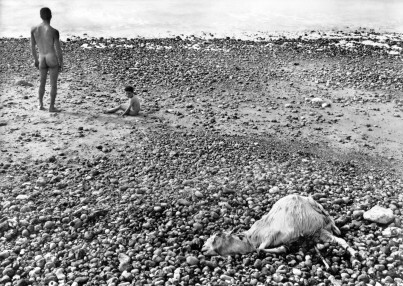 6, a short film that looks back to a photograph the artist took in 1954, of a naked man and a small boy on a rock-strewn beach, accompanied only by the bloated body of a dead goat. The film is a bewitching, deftly layered construction that combines the personal recollections of its subjects with those of their families and Varda's own memories of taking the photograph. The work is a meditation on memory’s propensity to blur into personal fiction. It is not immediately clear how this relates to the Biennial's question, aside from simply highlighting Varda's skill at spinning a beautiful story from relatively humble materials. A new commission also on show, 3 moving images. 3 rhythms. 3 sounds, combines short extracts from three of Varda’s previous films, which are shown simultaneously but projected at different speeds. The effect is disorientating and confusing, perhaps another comment on our reliance on images to interpret and recreate reality, only this time revealing the limitations of this process more bluntly. When shown alongside the finely-crafted Ulysse, however, the curt approach of 3 moving images. 3 rhythms. 3 sounds feels frustrating. 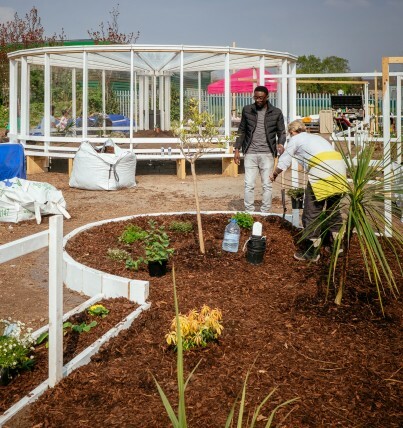 There is also a new commission from Mohamed Bourouissa, who has worked with local Liverpudlians to help turn a piece of city scrubland into Resilience Garden FIG. 7, a quiet space where plants from different parts of the world grow together – including many from Bourouissa’s native Algeria. A film documenting his approach to the work, which was inspired by a garden made by a patient of the psychoanalyst Frantz Fanon, is on show at FACT. 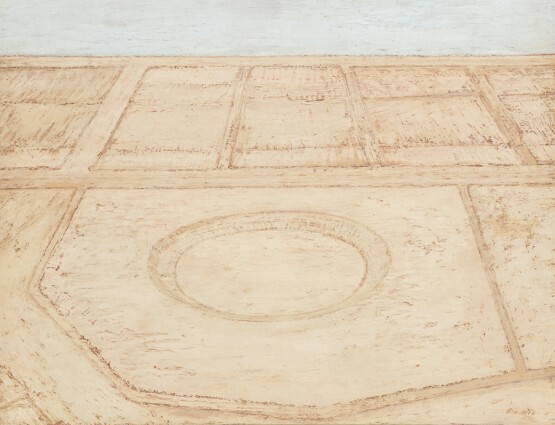 Bourouissa's garden constitutes a rare attempt, in the context of the Biennial, to construct at least an analogue for the elusive 'beautiful world' – and to offer a solution to one of our contemporary problems. It suggests that, particularly in the context of immigration, we all need to learn to live peacefully together because, side-by-side, we can thrive. 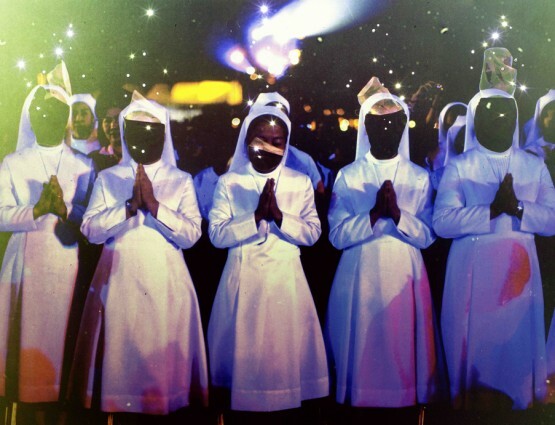 Bourouissa understands the challenges of bringing people together in this way. His garden is planned to outlive the Biennial, and will need time, patience, love and careful tending in order to grow and survive. 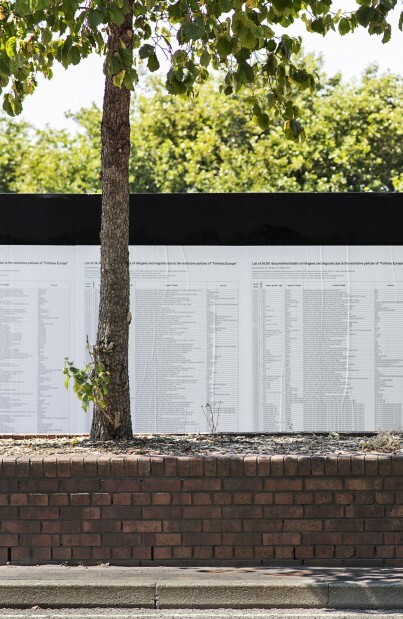 Very sadly, Banu Cennetoglu's public poster installation The List FIG. 8, a heart-breaking tally of the over 34,000 refugees and migrants who have been killed while attempting to reach Europe since 1992, which is also on show as part of the Biennial, has been repeatedly attacked and defaced since going on display. Such acts of violence demonstrate that more work is to be done if Bourouissa's harmonious vision is to be realised. Perhaps inevitably when considering the scale of the challenge that its framing question represents, this also serves as a somewhat bleak reminder that much of the work on display at the Biennial is much more effective at illustrating the world's problems than providing us with solutions to them. 320 pp. incl. numerous col. ills. John Parton is Commissioning Editor at Laurence King Publishing.